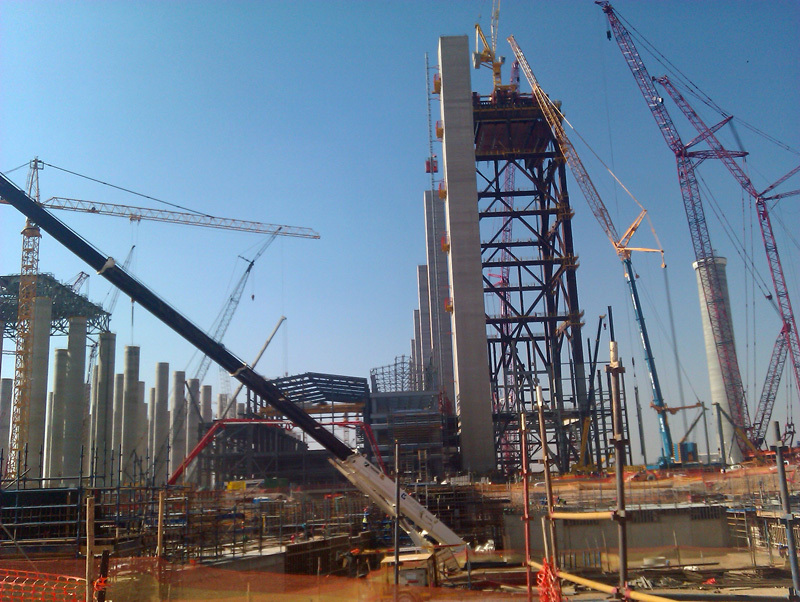 Quiz: Can you name the five biggest infrastructure projects in SA? Kusile will be one of the largest coal fired power stations in the world and the first power station in South Africa to use Flue Gas Desulphurization (FGD) through which oxides of sulphur (Sox) are removed from the exhaust flue gases. Kusile will consist of six 900 megawatt coal-fired generating units for a total generating capacity of 5,400 megawatts. This plant will contribute significantly to resolving power shortages in South Africa and the region, and providing additional capacity to facilitate future economic growth. With a 50 year operational life, Medupi will be the fourth largest coal fired power plant and the biggest dry-cooled power station in the world. Consisting of six boilers, each powering an 800 megawatt turbine, it will produce 4,800 megawatts of power. Demand for transportation fuels is forecast to grow to more than 400,000 bbl/d by 2020 in South Africa. PetroSA’s planned 300,000 barrels per day crude refinery is one solution to this supply challenge, aimed at reducing imports and producing refined products locally. Transnet has launched a new multi-product pipeline, which will be able to transport petrol, diesel, jet fuel and gas from Durban to Heidelberg. Approximately three million litres will flow between Durban and Johannesburg weekly once the pipeline is fully operational. When completed, the new underground De Beers Venetia mine will extend the life of the Venetia pit until 2042. It will, according to the company, replace the open pit as South Africa’s largest diamond mine. Operations will yield approximately 96 million carats during the life of the mine. of me, since this time i am reading this great educational post here at my home.